24 Frames Production show Laut Aao Trisha on Life OK channel has already showcased enough of drama, revenge and affairs, but it seems that the makers are not in the mood to stop. Now, they are ready with some more entertainment for its viewers. Prateek’s (Jai Kalra) past affair, Kushan (Ayaz Khan) trying to kill Prateek, and Lavanya’s (Rajeshwari Sachdev) arrest. And if this was not enough then Kushan (Ayaz Khan) will be seen aiming his gun at Prateek and this will be a part of Kabeer’s (Eijaz Khan) plan. When we contacted actor Ayaz Khan, he replied, “I am not sure about what is going to happen next. With more drama coming up, the show will definitely be an interesting watch in the coming episodes. ‘Upset’ Bhagyashree to quit Laut Aao Trisha? Serving some piping hot news from the editorial kitchen of Tellychakkar.com. And it’s about Life OK’s high profile show Lat Aao Trisha produced by 24 Frames Productions. Now as reported earlier by us, the show initially was meant to air for a year but its sorry TRP figures forced the channel to pull the plug on it prematurely. However, now we have learnt that after much deliberation the channel has decided to give the show an extension but the entire off air buzz and the project’s constant failure to connect with the masses has upset Laut Aao Trisha’s main face, Bollywood actress Bhagyashree. Now, another part of the story is that the makers are not ready to continue with the project if Bhagyashree moves out. They would rather end the show entirely than drag it for the sake of it, is what the credible source further informed. We asked Bhagyashree if the entire development was true and she replied with a one word answer 'no'. The makers remained unavailable till the time of filing the article. We shall try to connect with them again. Life OK show Laut Aao Trisha (24 Frames Productions) has always kept its audience hooked to the show with many twist and turns in the plot. Now Tellychakkar.com gives you the news that the makers are set to provide some more drama to its audience. 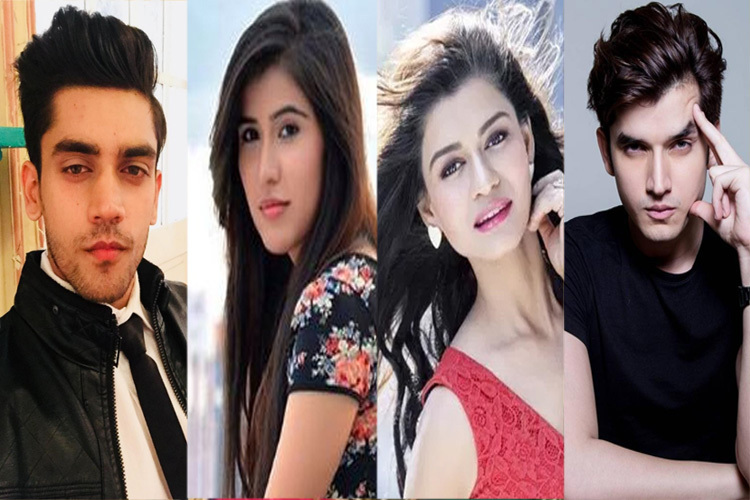 As per our sources, on one hand Kushan (Ayaz Khan) will try to kill Trisha (Nalini Negi), while on the other Neha will escape and finally a new romantic track will develop centering Trisha, Aditya and Meghan. “While on the other hand Kabeer (Eijaz Khan), who has been suspecting Neha (Prateek’s girlfriend) for a long time, to have been involved in Trisha’s kidnapping will try to force Neha to confess her crime and due to the pressure Neha will escape in order save her life”, added the source. Finally the most interesting turn that the audience will witness in the show will be the development of a triangle love story. Aditya (Kunal Verma), Trisha’s doctor will take care of her, while Meghan (Trisha’s cousin) will fall for Aditya and this will lead to a new romantic development in the track. Now whether Trisha will identify Kushan or what will happen to Trisha’s and Meghan’s relation still remains a question. We dropped a message to Ayaz for a comment but he did not revert till the time of filing the article.